One of the most culturally significant regions in the United States, the San Francisco Bay Area, typically just known as the Bay Area, is the region encompassing several cities and counties in North California around the San Francisco area. Over 7.6 million people live in the Bay Area, and there's a lot to be seen and done in this particular region. From roaming redwood forests to playing golf on world class courses, tasting incredible red wines in Napa Valley, or admiring the Golden Gate Bridge from the heart of San Francisco, the Bay Area is a wonderful place in which to live, work, and visit. It's home to more Fortune 500 companies than almost any other region in the nation and is a rich ecological area too, with lots of different flora and fauna to be discovered and appreciated. In short, the Bay Area is an economically, culturally, and geographically rich region with a lot to offer for visitors of all ages, backgrounds, and nationalities, with the area attracting millions of tourists each and every year from countries all around the world. There are plenty of great RV parks and campgrounds in the Bay Area, making it a great spot for camping trips and road trips. 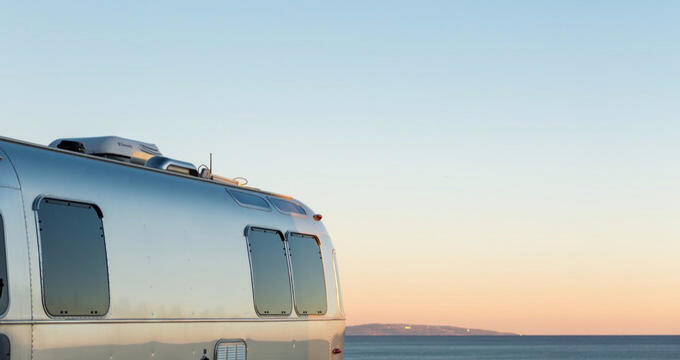 Read on to find out more about the best RV parks in the Bay Area, complete with full descriptions of the amenities and features that make these parks stand out ahead of the competition. Located out in Half Moon Bay, one of the prettiest coastal cities in the entire Bay Area, Pillar Point RV Park is a great option for people looking to experience some of the very best beaches California has to offer. This RV park is nicely situated in close proximity to the area's main attractions and historical sites like the William Adam Simmons House, the Methodist Episcopal Church at Half Moon Bay, Poplar Beach San Gregoria State Beach, the Fitzgerald Marine Reserve, and Half Moon Bay State Beach. A very highly rated RV park, Pillar Point offers full hook-up sites on a first, come, first served basis, meaning you don't actually need to reserve your stay and can simply turn up on the day and pull into a spot. The spacious RV sites at this RV park can cater to motor homes up to 40 feet in length, and all sites are full hook-ups with water, sewer, electricity, cable TV, and high speed wireless internet access. Some of the sites at Pillar Point RV Park come with amazing views of the Pacific Ocean too, giving you a Bay Area experience you'll never forget. Located in Pacifica in a prime spot between Half Moon Bay and San Francisco, the San Francisco RV Resort offers the best of both worlds. It provides amazing views out over the Pacific Ocean and easy access to a lot of world class California beaches, while also being situated in close proximity to the exciting nightlife locations, interesting musems, awesome shops, and superb eateries of San Francisco itself. Rated very highly for its excellent amenities and super service, San Francisco RV Resort stands out above other San Francisco Bay Area RV parks in a lot of ways. This RV park is only a 15 minute drive from key locations like the Half Moon Bay State Beach and the Golden Gate Bridge, featuring huge RV sites to cater to motorhomes of up to 45 feet in length. The staff at this Bay Area RV park are really friendly and helpful, always eager to lend a helping hand, deal with any queries you might have, and provide guidance and advice for making the most of your stay. On-site amenities at the San Francisco RV Resort include direct access to the beach, clean restrooms and showers, a hot tub, a large swimming pool, a fun play area for young children, a picnic and grill area, a convenience store selling groceries and essential items, a large clubhouse, high speed Wi-Fi hotspots, and laundry machines. This is also a pet-friendly RV park, so you can bring a dog or two along to join in on the fun. One of the very best rated RV parks in the San Francisco Bay Area, Bodega Bay RV Park is located up in the northern part of the Bay Area in Sonoma County. A great place for wineries, beaches, water sports, outdoor recreation, and more, Bodega Bay and the surrounding Sonoma County area can offer a lot to any visitor. The little town of Bodega Bay is home to barely 1,000 people but attracts a lot of visitors all year long due to its prime location on the Pacific Coast and State Route 1. It's been used as a filming location in the past for several notable movies like The Birds and I Know What You Did Last Summer, and is home to some superb whale watching spots and a picturesque harbor. Owned and operated by the Adams family since the late 1960s, Bodega Bay RV Park provides a warm welcome and relaxing vibe for all guests. There's a lot to love about this RV park, with daily rates beginning at just $45 for a simple back-in site or $64 for a full hook-up pull-in site. This is a pet friendly Bay Area RV park, so you can bring dogs along and walk them around the park, even letting them off the leash in the designated Pet Walk zones. On-site amenities at this RV park include 78 individual RV sites, with 58 of them featuring full hook-ups, free wireless internet for all guests, a DVD library to enjoy movies in the evenings, a dump station, RV supply sales, a horseshoe pit, a dog run, an activity and games area, fire rings, a putting green, coin operated laundry machines, restrooms, showers, cable TV channels, snack stands, a restaurant, and two large clubhouses.